Are these mistakes on your CV stopping you from landing your next job? Poor presentation is often used as an excuse to throw out an application before it’s even been read, especially when there are a large number of applications to process. Forgetting to attach a CV – Always double check that your CV is attached to your application before clicking send. How are you going to get hired if no one can see what you have to offer? 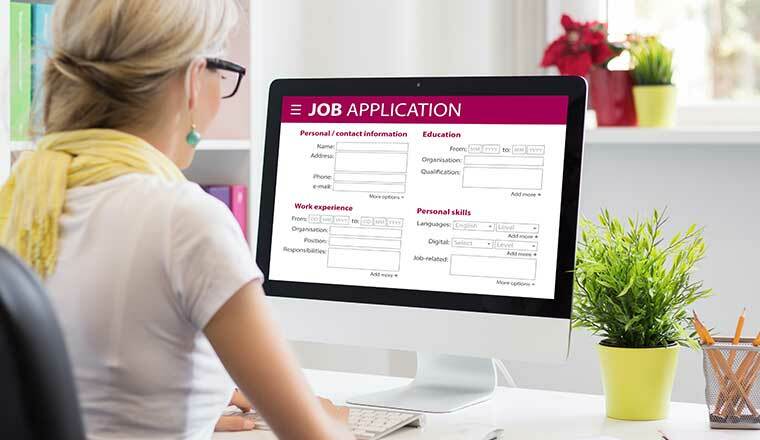 Sending your application from hula_hoop_sally@hotmail.com – While you may still be using an email address containing your school nickname to talk to your friends, using it to apply for a job can put employers off. Consider setting up a separate – more sensible – email account to use for your job applications. For example, Sally.Hooper@hotmail.com. 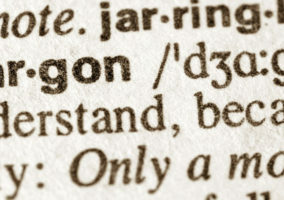 Sending off your application without doing a spell check – Always do a spell check on your application before sending it off. You should also ask someone to sense check your application, as a spell checker won’t detect if you’ve used the wrong ‘weather’ or missed out a word. Leaving evidence of any feedback comments – It is always great to get feedback on your application before sending it off. However, leaving such comments in place could cast doubt on your IT skills, as well as make you look bad if you’ve repeatedly used the wrong ‘their’. Using a really small font – While you may be determined to fit as much as possible onto a 2-page CV, reducing the font size to less than point 11 is likely to do more harm than good. It is far better to send off a 3-page CV than to compromise on layout and font-size. 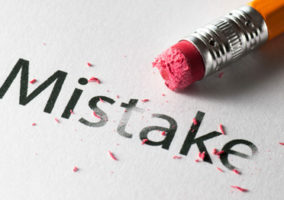 Avoid these mistakes and make sure it’s a good one! Leaving unexplained gaps on your CV – A blank space on a CV will always raise concerns. It is generally expected that you provide some form of explanation for where you were or what you were doing while out of work. For example, volunteer work, travelling or raising a family. Listing photocopying as a key skill – The key skills section of your CV should be reserved for highly developed skills such as using Adobe Photoshop, or being able to orchestrate a successful social media marketing campaign. Photocopying, posting, laminating and answering the telephone aren’t key skills. They are things you should be able to do without much help. Addressing your cover letter to Sir/Madam – Always try to find out exactly who to address your cover letter to. Even if it involves ringing the company. Also double-check that the name you have is an actual person and not the name of a recruitment company. Posting drunken pictures of yourself on Facebook – Be aware of what social media sites/blogs say about you. Employers do look at Facebook and Twitter and aren’t impressed with your rude or drunken messages. Ignoring the location of a job – Always check the location of a job before applying for it. Unless you are close by, or mention that you are willing to relocate, it is likely that your application will be discounted (unless it’s a homeworking job). Describing your job role rather than highlighting your skills – Your CV should detail the skills you’ve developed in the various jobs you have had. It should not just be a list of job descriptions. Not including something that is asked for – If the job description asks you to include something, for example, a cover letter or examples of your work, make sure you include these. Filling your CV with “reasons for leaving” – Unless you have moved between jobs a lot, don’t waste space on your CV with “reasons for leaving”. No one is expected to stay in a job forever and, if your recruiter is interested, they will ask. Reapplying for the same job – If your application gets rejected, you should always ask for feedback. But don’t then try and apply for the same job again with those changes made. You have already blown your chance to make a good first impression, and it is best that you apply the advice to your next application. Leaving off your Maths and English GCSEs – Always include your Maths and English GCSE grades – even if your employer doesn’t ask for them. They demonstrate the basic level of competence that most jobs require. Employers love to see that you really want to come and work for them. But if you can’t be bothered to put a good application together, how much effort are you really going to put in on the job? Avoid making these mistakes and show your potential employer just how much you want that job! Not doing your research – A generic application with no mention of the company isn’t going to get you very far. Make sure you do your research and specifically mention why you would like to come and work for them. Saying you want the job because of its convenient location – Your cover letter gives you the opportunity to explain why you want the job and why you think you’d be good at it. Saying you want the job because of its convenient location isn’t a good enough reason. Ignoring the company website – Nowadays most companies have a website. So in your cover letter you should try and make reference to the fact that you have visited it. This is especially important if the job role specifically involves working on the website.